This is a brief update on my recent events. 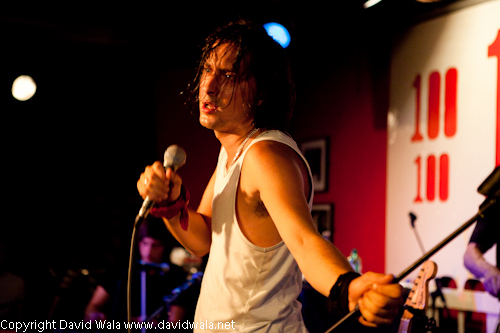 On 22 July I photographed the Little Episodes night at the legendary 100 Club on Oxford Street in London. Little Episodes help raise awareness through the arts for those suffering through addiction and depression , please visit http://www.littleepisodes.org/ for more information. It was a pleasure to photograph this gig it was a friendly vibe – of course it was also an opportunity to see some great bands including the Harrison Brothers, Kieran Leonard, and of course Carl Barat. I have put some of the images from the event in my gallery. There are also more images from this event on my Flickr site. 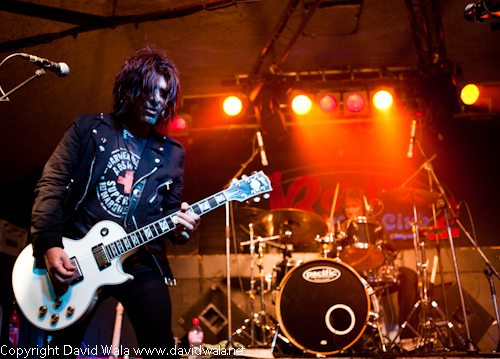 I was also excited last week to photograph Steve Conte playing solo at Robin 2 in Bilston ( near Wolverhampton). I have been lucky enough to have seen him play many times with New York Dolls in his day job – it was my first chance to photograph one of his solo gigs. He did not disappoint he played a set oozing with rock n roll attitude – well worth the 600 mile round trip. On the night Steve and his band were happy to pose for my Instamatic For The People instant photography project which fills me with hope that my ongoing project is heading in the right direction. Check out the I mages in the Instamatic For The People gallery. At the time of writing Steve is using his image as his Facebook profile picture. I also sent Steve images from the gig and I am delighted that he liked them and that he wanted to use them for promotional material. You can see some images from the gig in my gallery or on my Flickr site. I expect the next time I will see Steve is when he will be playing with New York Dolls at The Cluny in Newcastle on 4 September.